1. In order to understand the Union and the engagements that bind us, it is necessary to go back to the Minutes of the historic Strasburg Conference of January 22, 1961. The title of these first Minutes is without ambiguity: “Information and Liaison Centre of the Masonic Powers Signatory to the Strasburg Appeal”. It is of the utmost importance that the Founders included in this title the term “appeal” which according to the text, line 19, page 2, designates “the common appeal which characterizes the union of the Obediences among themselves and with respect to the outside”. No less important, on page 2, lines 3 to 8 : “the G.M. Ravel (France) recalls that each delegation represents its Obedience; the Conference of today is not a meeting of GG.MM. in a personal capacity. The delegations specifically express their agreement with the terms of the proclamation of the G.O. of Belgium and the G.O. of France of November 1960”..
2. Twelve years after the creation of the Union, the G.M. Zeller, Vice-President of CLIPSAS, in answer to the question whether CLIPSAS pursues the reestablishment of universality, even, should the case arise, with the UGLE, confirms the proclamation of 1960 and the Strasburg Appeal: “There is no principle of exclusivity towards the UGLE. If it takes us as we are, that is enough”. 3. In another confirmation of the Union, in 1982 the President “welcomes F. Ruffin Green, G.M. of the Omega Grand Lodge which has just entered the Strasburg Union”. 4. From 1994 on, some GG.MM. wanted to rewrite the Appeal of Strasburg, to eliminate the paragraph “Esteem”, the key to the universality decided at Strasburg. The third point of the proposition by G.M. Lafouge at Santiago: “A moratorium of three years is decided for the admission of new Grand Lodges, in order to permit a detailed examination of their liberal character and freedom of thought” reflects this will to restrict, that is to say to denounce, the Declaration of Union and the Strasburg Appeal. 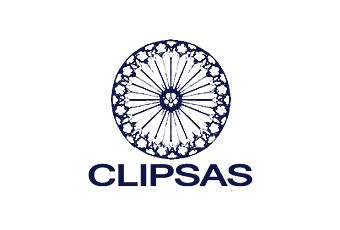 In 1990, the Strasburg Union was renamed CLIPSAS by President Ragache because “the title of the association is long too, obsolete, and does not state the objective of the group”. This change of denomination must not be interpreted as a modification or the termination of the Strasburg Union. The question “Why CLIPSAS?” is identical to “Why the Strasburg Union?”. 1. The answer is to be found in the Proclamation of 1960, approved by all the Obediences, that is to say the restoring of the Union Chain broken by regrettable exclusions and “the edification of a vast universal Masonic gathering, the necessity of which is more imperative than ever”: thus all the Grand Lodges members of the Union / CLIPSAS are united. And the registration of the Statues in 1993 with the Prefecture of Paris confers a legal existence on us. 2. Moreover, this Union of Sovereign Obediences ensures a permanent contact and flow of information. The contact takes place in the General Assemblies and Conferences. The information is furnished by the members. Unfortunately, with the development of electronic means, the majority of members no longer feel the need to transmit such information. Though this is regrettable, it cannot be brought to the discredit of the Association. In order to restore the Universal Chain of Union broken by regrettable exclusions, the Conference of Strasburg created the Strasburg Union based on the proclamation of 1960. Forty years later, the goals of this proclamation and the declaration of Union are still a vital reality. Thus, in the discussions of the 2000 CLIPSAS Conference as well as in the General Assembly, the general opinion recognized the unique value of the UNION OF STRASBOURG / CLIPSAS. 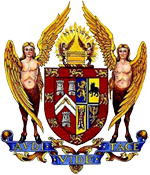 – are honored by their absolute loyalty to the message of tolerance, fraternity and union contained in Article 1 of Anderson’s Constitutions (1723) and whose respect remains their golden rule. – esteem that Freemasonry has as its mission “to join the persons who, without it, would have remained strangers” and that the Freemason must essentially be an element of concord between all men. – consider that the essence of Masonry resides in its social ideal of fraternity and duty, and not in the rigid observance of any usage, however traditional, that a spirituality which closely unites man to the future of humanity and to the improvement of its condition, has as much value as that which he can find in his relationship with a supra-natural principle. – offering the young a greater and more generous ideal. As the river is only true to its source in flowing to the sea, so a Masonry which refuses to follow human progress would betray the very intention of its founders. 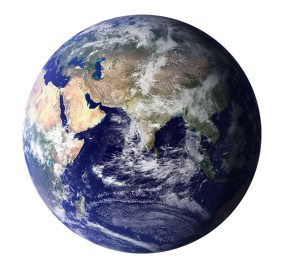 By the very way it is progressive, our Masonry, conscious of achieving the generous intentions of our M Anderson in modern scientific society, by its natural prolongation, the complete freedom of thought, admits no limitation to the absolute freedom of conscience. The achievement of this ideal necessitates the recognition of all Masons in a mutual harmony where each note conserves its value, and in the respect of the freedom for all. A Masonry which intends to accomplish its mission would not reject any moral values capable of strengthening it. All men, whatever their race, religion, social position, philosophical or political ideals or economic ideas, if they are free and men of integrity, must commune in a same will of union to permit the building of a vast universal Masonic gathering, whose existence is more than ever of vital importance. If exclusions remain, they do not stem from us, and we condemn creating any ourselves. Far from being an obstacle to the Union, we believe that the diversity of moral values constitutes a factor of intellectual and spiritual wealth indispensable to its expansion. We are convinced that Masonries which do not admit absolute freedom of conscience are imperfectly enlightened and that it is our duty to aid them in their way towards the Light. 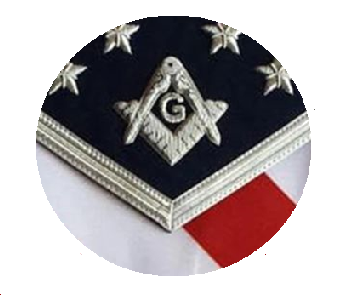 Respectful of all traditions, rites, symbols and beliefs, of the absolute freedom of conscience, faithful to the spirit of Anderson’s Constitutions of 1723, believing that each Mason be responsible to freely determine his choice of Rite and the interpretation of symbols, the Signatory Powers call on all Masonries of the World, in order that an unbreakable Union Chain forms between them, which would assure the triumph of the Masonic ideal and lead humanity toward more Beauty and Goodness.